Our server code is a bit too big, so we’re splitting into multiple classes. 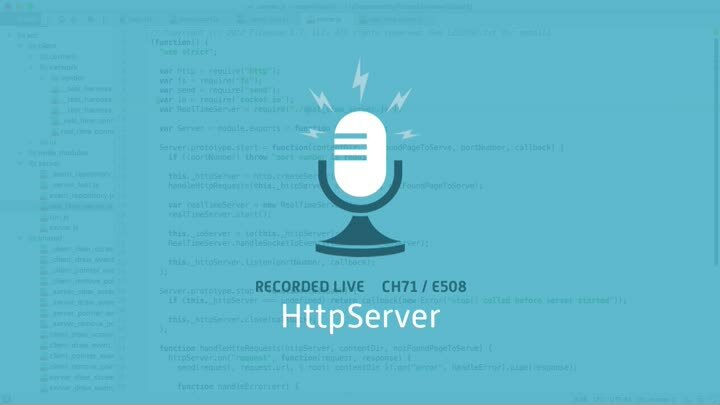 In the last episode, we started to factor out a RealTimeServer class. We finish that up, then turn our attention to factoring most of the remaining code into an HttpServer class.